We have made a couple of updates in our Score Games. Such as Tetris from “Incinerator” and Lines from “Ice Base”. 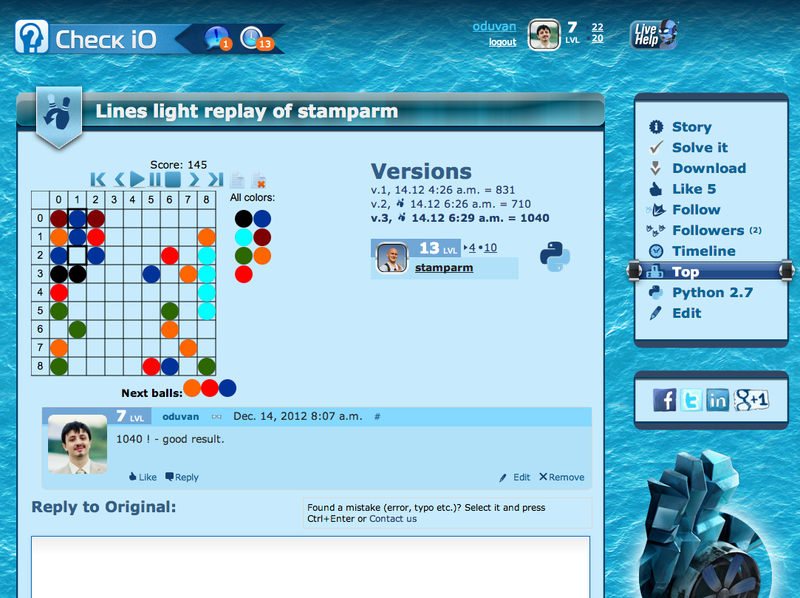 Now we save all versions of your solutions so you can check your evolution to how it played 2 days ago or a year ago. Solution view changed a bit too, now you can comment each solution separately. 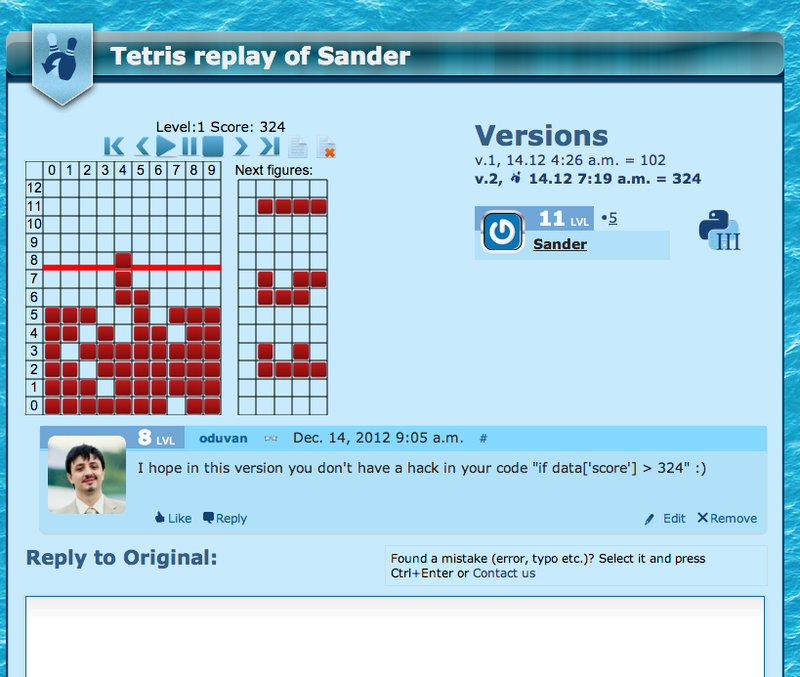 We have recently changed how new figures are added to Tetris. Now, new figures are added after 50 burns instead of the previous 50 burned lines. It is now a preferred strategy to burn as many lines per piece as possible. Created at: Dec. 14, 2012, 3:21 p.m.; Updated at: Dec. 14, 2012, 3:21 p.m.